This is the first part of a short introduction to writing about Graphs. What are Graphs and Charts? This a table. 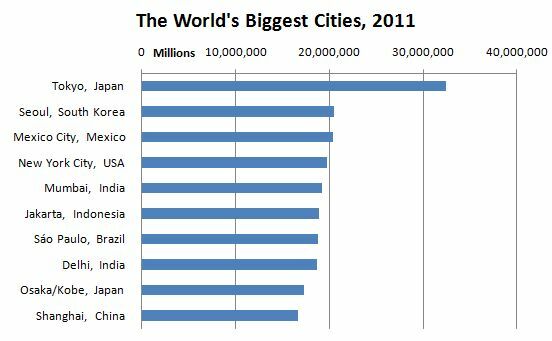 It shows the population of the world’s top ten cities in 2011. Here is the same data (for the top ten cities) in a bar chart. Which is easier to read or understand – the table or the bar chart?